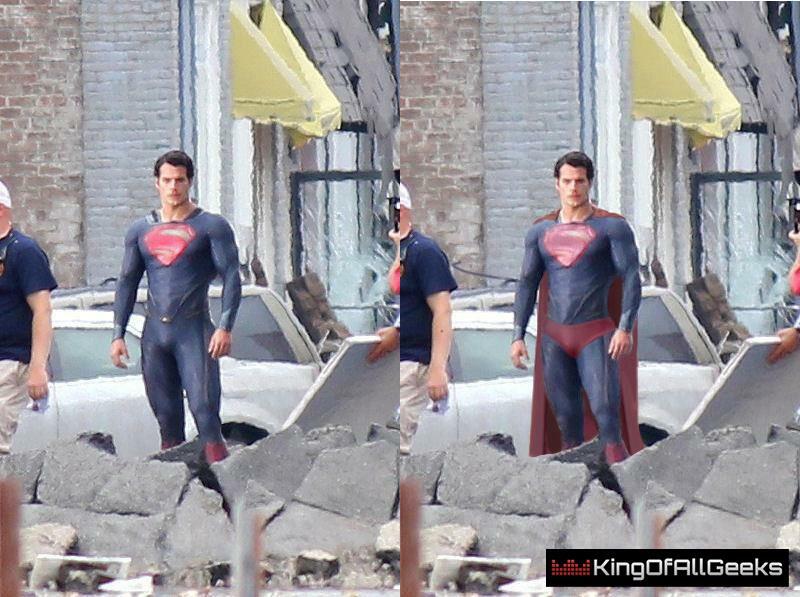 In my previous post on the new set pics from Man of Steel, I mentioned that the suit was missing something. So I went ahead and added some red undies and a cape and I have to say that I think it makes a huge improvement. The red undies (or even a belt) are needed to break up the costume. Check it out below, including a before-and-after pic after the break and let me know what you think in the comments.